Wonthaggi RSL is a small traditional Sub-Branch, operated by a small dedicated team of veterans and volunteers whose aims are to service the veteran community through operating the Bass Coast Veterans and Dependents Welfare Centre, for Welfare and Pension requirements and also to serve the commemorative needs of the local community. The Wonthaggi RSL holds a modest collection of memorabilia, photos, documents and books relating to military service, as well as a library of more than 900 reference books covering military history and technology. The building itself has local heritage listing and the sub branch was formed in 1918. A portable folding shovel with a rivetted lip attached to a wooden handle. A metal tube is atached to the end of the handle. The metal blade is hinged by rivet to the metal tube on the end of the handle. A circular steel tube is on the metal tube. A trenching tool used in Vietnam war, carried by soldiers with their kit. 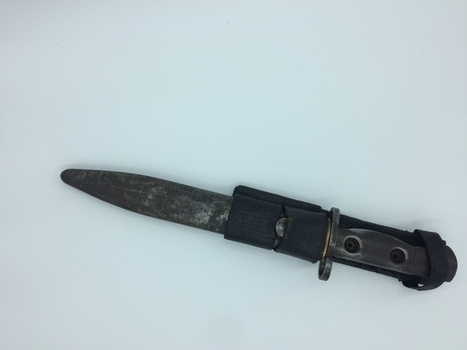 This tool had multiple uses including digging in-field trenches, disposal of human waste, and an an improptu weapon in hand-to-hand combat. 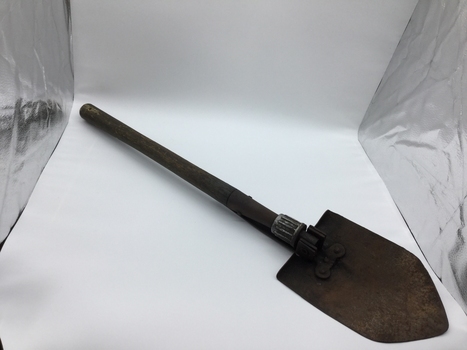 This trenching tool is representative of filed kits issued to Australian soldiers in the Vietnam War. Length of handle suggests it was used by Sappers or Artillary. Forms part of First Aid equipment as utilised by Australian Forces during WW2. 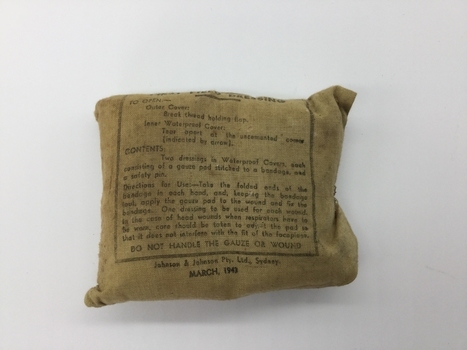 First Field Dressing with instructions on use Johnson and Johnson. 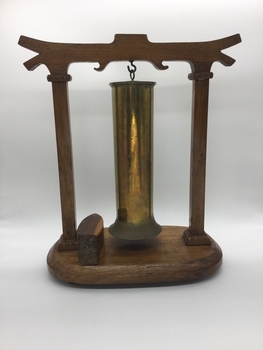 Customised navel shell casing, hung on wooden frame, accompanied by wooden striker. Bayonet for use during the Vietnam War. Silver frame around photograph including mini medals, dog tag descriptive label and coin. Cpl Ian Marshall served in Vietnam and died later in 1987. 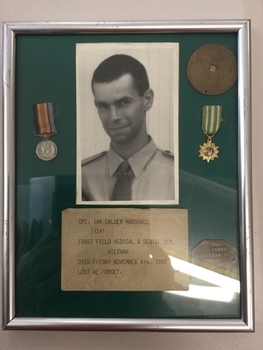 [Photograph of] Cpl Ian Calder Marshall, [Army number] 33241 [who served with] First Field Medical and Dental Coy Vietnam. Died Friday November 6th,1987. 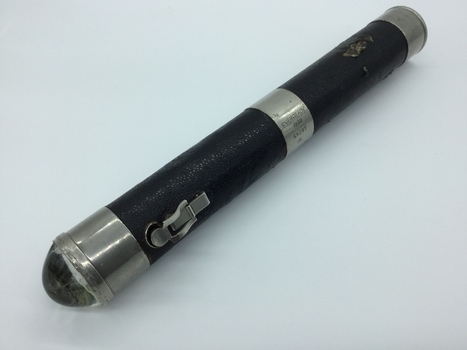 Used in Second World War to alert planes and as a hand torch. This torch was used by a member of an Australian unit. It is a representative item of military equipment for service. This item was used by Australians serving overseas during WW2. 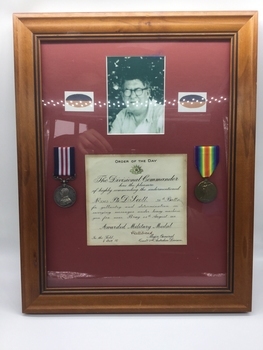 Wooden frame with pink background, black and white photo of a man wearing glasses on either side of photo are two oval shaped flags that the top half navy blue and bottom half faded orange. Below in the centre is an Order Of The Day Certificate and medals on either side of the certificate. Certificate to No 3363. Pte D. Scott 38th Battalion for gallantry in carrying messages under heavy fire near Bray 24th Aug 1918. Awarded Military Medal.